A student receives breakfast at Beidler Elementary School. 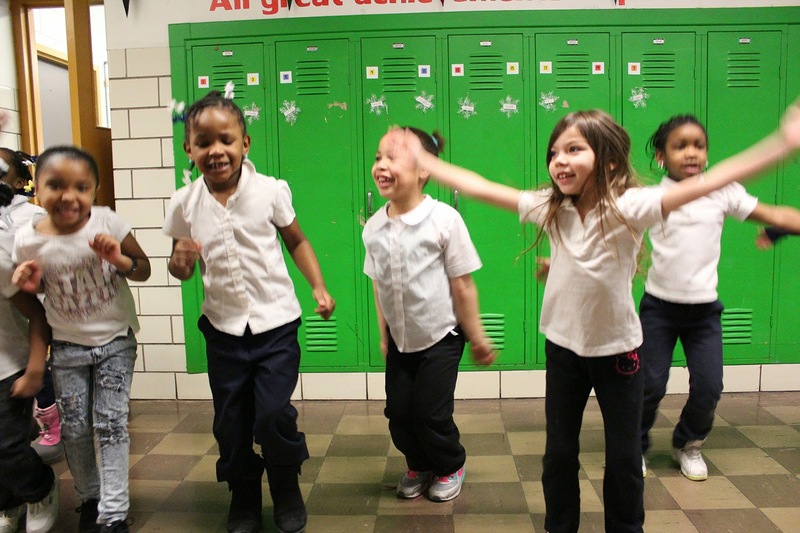 Every Friday, dance music reverberates through the halls of Beidler Elementary School in Chicago’s East Garfield Park community. “Welcome to Fitness Friday!” a voice booms over the PA system, between tracks. For 10 minutes, students and teachers dance up and down the halls, waving their arms and singing along to the music. Fitness Friday may seem like pure fun, but for Principal Charles Anderson, the activity is part of a larger commitment to healthy living. Another aspect of that commitment to health is a focus on nutrition. 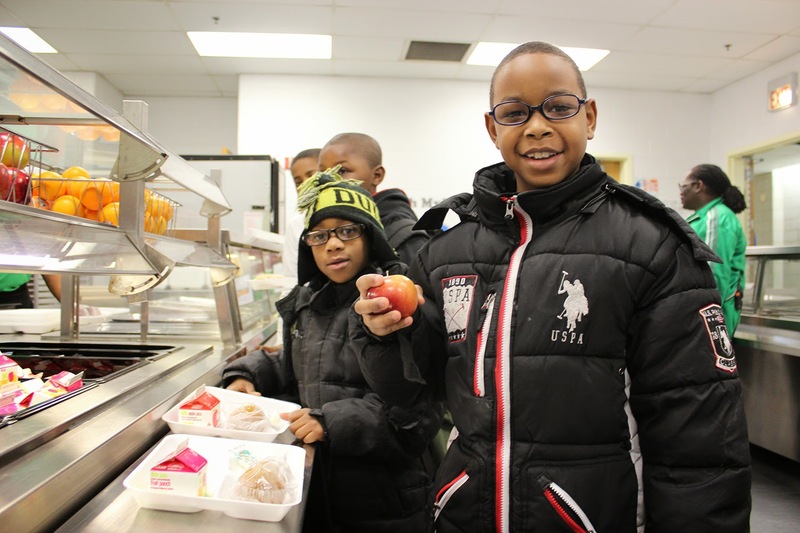 To that end, Beidler is part of the National School Breakfast Program, serving meals to nearly 330 students each day. “You just can’t teach kids if they’re hungry. They can’t focus,” Principal Anderson said. Breakfast is especially important in East Garfield Park, where the child poverty rate is a stunning 55 percent. “Many of these students wouldn’t be getting breakfast if they didn’t get it here,” he said. This is the school’s fourth year as part of the National School Breakfast Program. “Our scores continue to rise and I think you can attribute that in part to our activities and our breakfast initiative,” he said. Beidler’s breakfast program encourages a family atmosphere, as students gather in the school’s cafeteria before school to socialize and eat. “We try to create a culture by making sure kids are eating a healthy breakfast, exercising and having fun,” Principal Anderson said. According to the most recent school breakfast data, more than 473,000 free and reduced-price breakfasts were served at schools in East Garfield Park in 2013, including approximately 59,000 at Beidler Elementary.